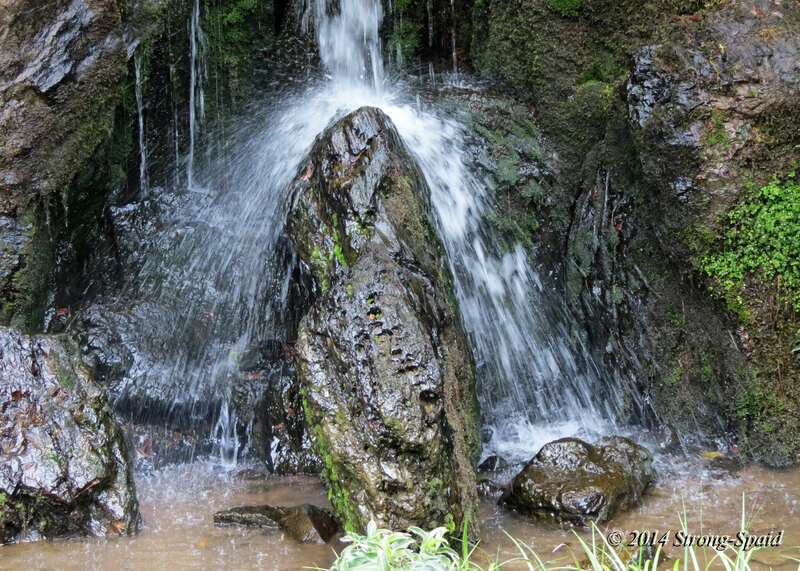 The Carp Stone (rigyoseki) at Kinkaku-ji appears to be swimming upstream against a pounding waterfall. I am told that this stone image symbolizes strength, courage, and the will to persevere even when struggling against adverse conditions. Creating circular ripples in the pond surrounding the Golden Pavilion Temple, I also saw a colorful carp (Nishikigoi) raise its head out of the water. Emulating the power of the stone, it stopped for only a few seconds and then continued on its way. 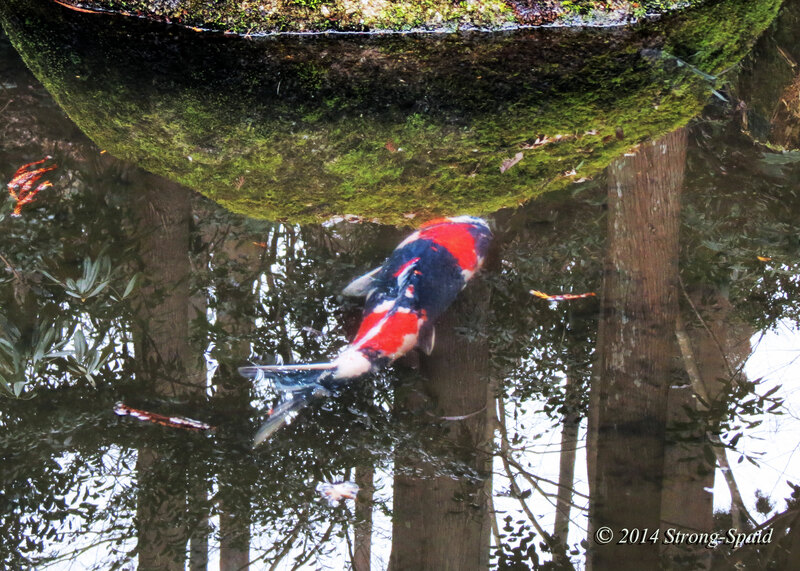 This entry was posted in LIfe, Nature, Philosophy, photography and tagged fish, Japan, Kinkaku-ji, Travel, Water. Bookmark the permalink. Stunning fish, with those splashes of bright colors. with my own tears or is it fear? the ripple of a year. Thank you for the poem! Thanks. I like it too. When we are born into this world, the only thing we know for sure is that one day this life will end. It takes great courage to walk (swim, crawl, or fly 🙂 ) through this life, not knowing what each day will bring. Learning as we go—we do our best!. the Carp Stone is awesome…I like what it symbolizes! Beautiful carp! I just came upon your site – what a contrast between this and “Tired of Winter”! I hope and bet you’re enjoying Japan. In northern Nova Scotia, I’m wondering if winter will ever end (but know it will). I hear that it snowed more than usual in Tokyo this winter, so I think many people in Japan are tired of winter too. Those moments of contact with pure energy are so special. Many thanks for sharing. Thanks! You are absolutely right. fabulous photographs Mary, those fishes are so pretty! we can learn so much from nature. Thank you! I agree with you–nature is a great teacher! 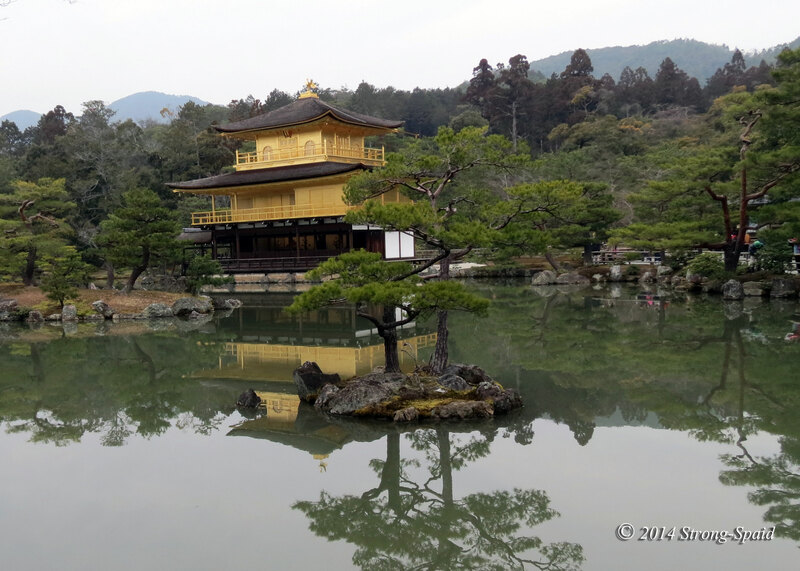 These photos were taken in the waters surrounding the Golden Pavilion Temple (Kinkaku-ji) in Japan. It was a place where Zen Buddhists practiced zazen (religious meditation). Yes.It is definitely standing strong. Looks unreal but beautiful. Nice pictures. I am sure it is! Yes. 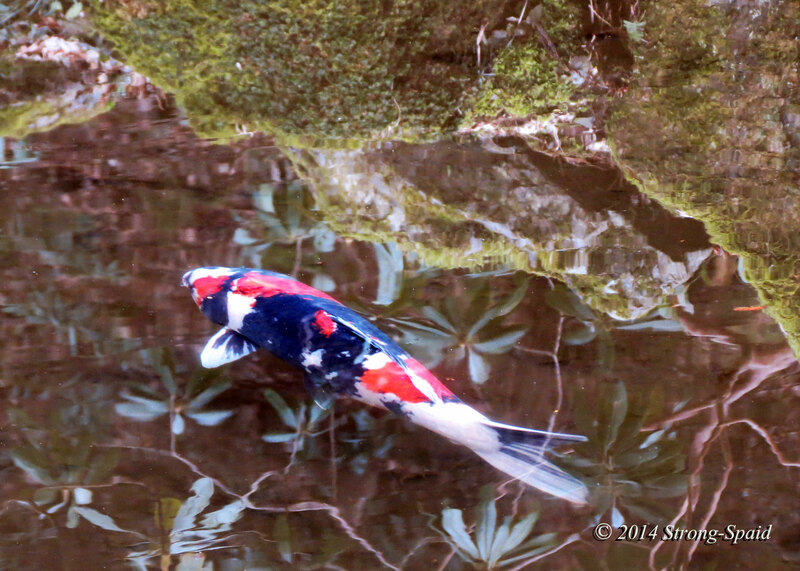 Red, white, and blue living peacefully in a beautiful Japanese pond. The world is an interesting place filled with strange twists, turns, and interesting connections! Thank you! Swimming slowly through reflections, what is becomes one with what is not. There is no separation. I agree…it is magical. Brilliant pictures Mary. 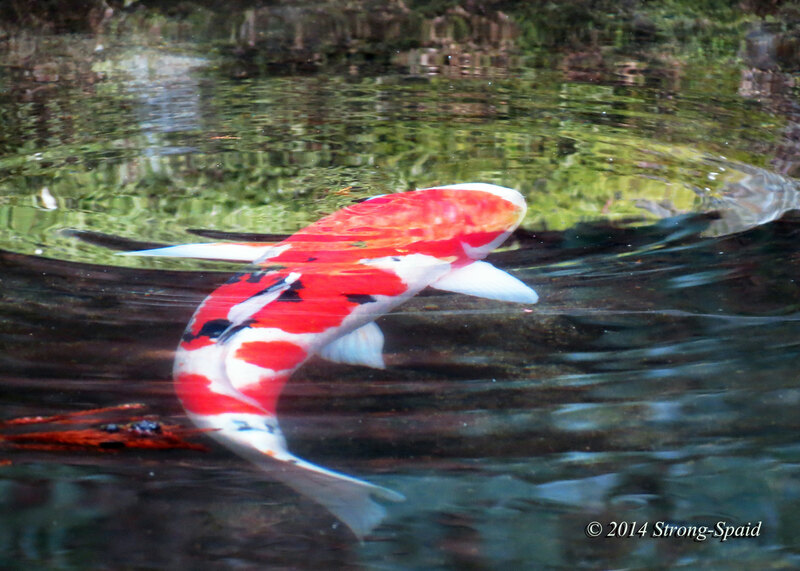 The koi are so elegant. Great pics, nice words Mary. Yes….I have never seen one that was red, white, and blue! What beautiful fish! Thank you for the like on my site – very much appreciated :-). It’s lovely to see such colourful fish. We had a small collection of orfe who were great fun. Sadly, I use the word ‘had’. We also enjoy the company of a rather beautiful heron! Say no more…. Thanks! A few years ago, my friend purchased some fish (Koi) for a little pond in her backyard. They were rather expensive. Then, one day, she noticed that one was missing. The next day, another was gone. Looking out of her kitchen window one morning, she finally saw the fish thief. Lovely carp photos! Very clear. Thanks Jean! I was lucky. The carp was swimming slowly enough (and close enough to the surface) for me to get a clear photo. Thanks for the compliment, Erica!